The U.S. government has determined that Russia has violated the 1987 Intermediate-Range Nuclear Forces (INF) Treaty by testing a prohibited ground-launched cruise missile (GLCM). So far, the Russian government has simply denied any violation and refused to engage the United States in constructive discussions on the issue. Moscow has made counteraccusations that the United States insists are intended to divert or deflect attention from Russia’s own violation.1 Despite repeated U.S. efforts to discuss and resolve its concerns with senior Russian officials, there are no signs of progress. The Obama administration has been developing a response to the violation over the last year, but Congress is pressing for stronger action. With the upcoming presidential election and the pressure from Congress for a forceful, near-term response, the political circumstances in the United States could push the dispute in a direction that makes it more dangerous for both sides, as well as for U.S. allies in Europe and Asia. To avoid such a mutually undesirable outcome, Russia should use the remaining period of the Obama administration to work toward a constructive resolution of this serious problem. Without visible progress toward a resolution, it seems likely that any future U.S. president, particularly a Republican president, will feel a need to take additional steps to respond to Russia’s INF Treaty violation. Such moves could increase the risk of a nuclear confrontation of a type that has not been seen since the Cold War ended. Fortunately, there is nothing inevitable about a deterioration in nuclear security and stability. These are matters that will be decided by the governments. 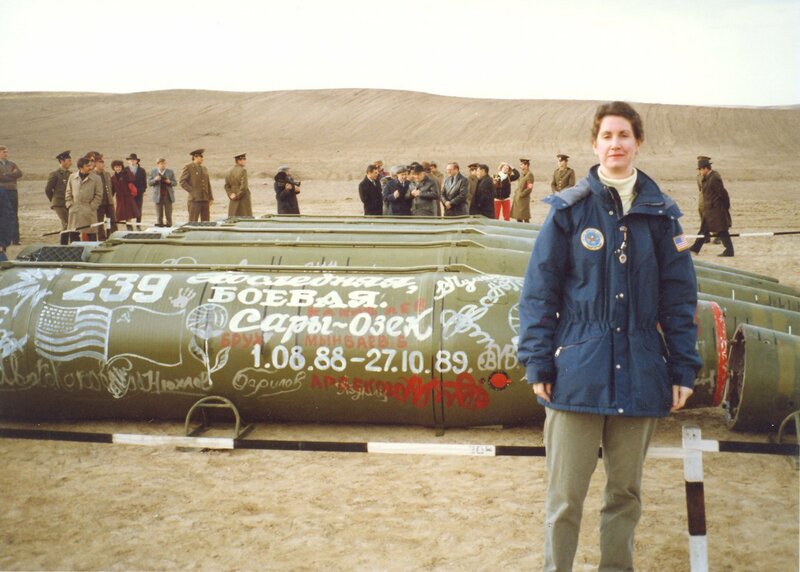 During the Cold War, the Soviet Union and the United States each deployed hundreds of intermediate-range nuclear missiles in Europe that the other side saw as an unacceptable security threat. Eventually, that confrontation led the two governments to conclude the INF Treaty. The potential consequences of the current standoff could include the termination of the INF Treaty or an action-reaction cycle of military deployments that increases the threat of nuclear confrontation and instability. Given these possibilities, it is important to examine the key elements of this dispute to understand why it would likely grow worse over time and to begin considering how both sides might approach resolution to avoid a return to increased nuclear confrontation and insecurity. The July 2014 arms control compliance report by the Department of State contained the first public exposition of the U.S. assessment of Russia’s actions. The report stated that “[t]he United States has determined that the Russian Federation is in violation of its obligations under the INF Treaty not to possess, produce, or flight-test a ground-launched cruise missile (GLCM) with a range capability of 500 km [kilometers] to 5,500 km, or to possess or produce launchers of such missiles.”2 In its compliance analysis section, the report enumerates each provision of the INF Treaty relevant to the determination of the violation. The report also stated that “[t]he United States noted concerns about the Russian Federation’s compliance with the INF Treaty in earlier, classified versions” of the compliance report. On December 1, 2015, the House Armed Services Subcommittee on Strategic Forces and the House Foreign Affairs Subcommittee on Terrorism, Nonproliferation and Trade held a joint hearing on the violation and the administration’s response. The two Obama administration witnesses, Gottemoeller and Brian McKeon, principal deputy undersecretary of defense for policy, provided the most definitive description to date of the violation and of the U.S. response. 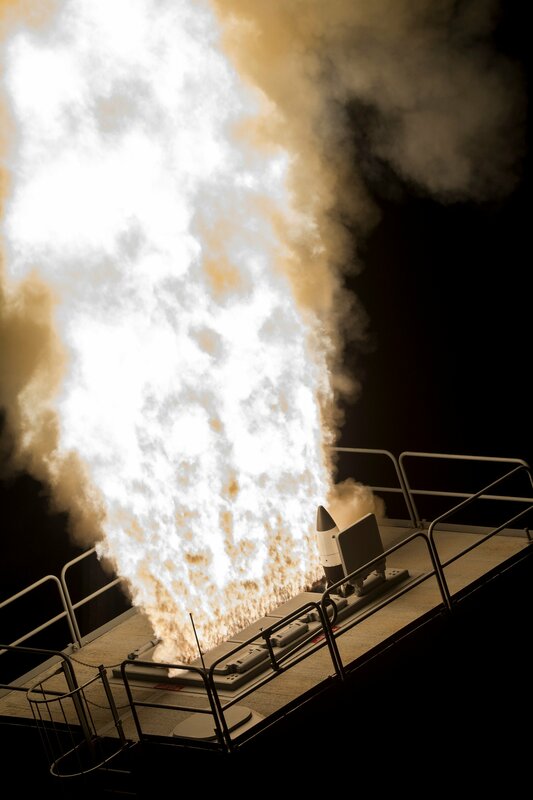 According to McKeon’s testimony, there “has been some speculation about what missile the United States is referring to and whether we have mistaken its testing for a treaty-compliant sea-based cruise missile.” The INF Treaty prohibits intermediate-range GLCMs but does not limit intermediate-range sea-launched cruise missiles or air-launched cruise missiles, which Russia and the United States each possess. The Obama administration’s planned response to the Russian violation of the INF Treaty has evolved over the last year. This is most clearly seen in the differences between congressional testimony of administration witnesses in 2014, the first year the administration made public its determination of Russia’s violation, and their testimony a year later at the hearing described above. It is noteworthy that the administration is reviewing some options that would not comply with the INF Treaty. Because the administration’s policy is to comply strictly with the INF Treaty and preserve the pact’s viability by bringing Russia back into compliance, the noncompliant options are presumably part of a contingency planning process in the event that Russia does not return to compliance or the treaty is no longer in force and the United States seeks to counter the Russian violation. Although McKeon’s list of possible responses was focused on Russia’s INF Treaty violation, he indicated that the administration was seeking to develop a comprehensive policy toward Russia regarding the numerous security concerns posed by Russian actions in areas beyond that violation, including Moscow’s actions in Ukraine. One year later, in his statement for the recent hearing, McKeon explained that the administration had broadened its response beyond the concerns about the INF Treaty violation: “Russia is not violating the INF Treaty in isolation from its overall aggressive behavior; therefore we concluded that our responses cannot focus solely on the INF Treaty.… Accordingly, we are developing a comprehensive response to Russian military actions and are committing to investments that we will make irrespective of Russia’s decision to return to compliance with the INF Treaty due to the broader strategic environment we face.”10 It is worth noting that Gottemoeller testified at the same hearing that Russia had begun testing the cruise missile in 2008, but the United States did not determine until late 2011 that it was a GLCM and thus prohibited by the INF Treaty. That indicates that Russia began its noncompliant behavior years before the current challenges McKeon discussed. The significantly expanded Obama administration response will likely become the baseline U.S. response. If a future president wants to indicate increased frustration or resolve, he or she probably will feel a need to take action that goes beyond this baseline, such as developing one or more of the three categories of systems to counter the Russian INF Treaty violation. If there has been no progress toward resolution at that time, such stronger action will likely appear to be politically necessary, particularly if the president is a Republican. In the shorter term, Congress is likely to continue pushing for stronger action on the INF Treaty during the upcoming campaign year. As the two joint House hearings indicate, Congress has been heavily involved in this issue. At the December 2015 hearing, Gottemoeller said there had been some 60 briefings, hearings, and meetings with Congress on the subject. Of course, the most important measure of the input of Congress on any issue is the legislation it enacts. In 2014, the year the United States made public its determination of Russia’s INF Treaty violation, Congress enacted two provisions on that subject in the National Defense Authorization Act for fiscal year 2015. Section 1243 of the act requires the defense secretary to submit to Congress a plan to develop “[c]ounterforce capabilities to prevent” attacks from intermediate-range missiles covered by the INF Treaty “whether or not such [counterforce] capabilities are in compliance with the INF Treaty”; “[c]ountervailing strike capabilities to enhance the forces of the United States or allies,” again “whether or not such capabilities are in compliance”; and “[a]ctive defenses” to defend against intermediate-range GLCM attacks. Although these are the same three categories of potential military responses that McKeon described as being under review in his testimony at the December 2014 hearing, the Obama administration has not pursued a plan to develop these capabilities, let alone begun to develop them. This provision of law pushes well beyond what the Obama administration is planning, even with its expanded response strategy. As the joint House hearings indicated, if there is no sign of progress on this issue when Congress prepares its legislation next year, it is likely that lawmakers will press for even stronger action. The provisions on the INF Treaty will inform the policies of the next president and could form the basis for additional future U.S. actions. Second, the Russian government has accused the United States of violating the INF Treaty with respect to three types of military systems: ballistic missile defense target missiles, armed unmanned aerial vehicles, and the Mk-41 launcher planned for the Aegis Ashore missile defense system in Europe, which Russia claims is capable of launching Tomahawk cruise missiles. The INF Treaty prohibits such a capability. So far, there has been no progress toward resolving any of the U.S. concerns about Russia’s noncompliance with the INF Treaty and, according to Gottemoeller, no sign of willingness by Russia to try.12 Under the current circumstances, with so many areas of disagreement between Russia and the United States, it is difficult to imagine a constructive way forward. Yet if this controversy is to be resolved, it is important to begin considering what a mutually agreeable resolution might look like. To start, Russia would have to be willing to have discussions with the United States to acknowledge and address the U.S. concerns. To resolve those concerns, it would likely have to acknowledge in some way that it has taken actions inconsistent with treaty and must be willing to take the significant steps to convince the United States it has come back into compliance. The INF Treaty created a Special Verification Commission as a forum to discuss and resolve implementation and compliance issues and to consider additional steps to improve the viability and effectiveness of the treaty, which it did successfully. Although the commission is now a multilateral body that includes the former Soviet states that are parties to the INF Treaty, it is the logical forum for Russia and the United States to confidentially discuss and resolve the U.S. compliance concerns. It is not clear what specific steps would be necessary to resolve this case. In an earlier compliance case, the United States accused the Soviet Union of violating the Anti-Ballistic Missile (ABM) Treaty by building a noncompliant radar at Krasnoyarsk. As McKeon noted at the December 2015 hearing, resolution took some seven years. The Soviet Union eventually acknowledged that the radar was noncompliant and dismantled it. Because Russia has not acknowledged any action in violation of the INF Treaty, resolution would presumably take a different path. Although it is not possible to “untest” the cruise missile system or eliminate the testing knowledge, it would be essential to preclude its deployment, which is a threshold issue, and meet the U.S. standard enunciated by McKeon, namely to “cease any further development, testing, production, and deployment of this noncompliant system and to eliminate the missiles and launchers in a verifiable manner.” Doing so would require significant transparency and confidence-building steps, including on-site inspections. That was the standard created under the INF Treaty and enshrined in the current New Strategic Arms Reduction Treaty. Given Russian assertions that the Mk-41 Aegis Ashore launcher system would violate the treaty and Russia’s long-standing and often-stated anxiety about the Aegis Ashore missile defense system as a threat to Russian strategic deterrent capabilities, it is likely that Russia would seek some degree of transparency and confidence that the system cannot launch cruise missiles. Although this idea may currently appear politically implausible to the United States and NATO, it is important to remember that the George W. Bush administration proposed to Russia a number of robust transparency measures on European missile defense to assure the Russians that it posed no threat to them. These steps included confidence- and security-building measures such as the presence of Russian military officials at NATO missile defense facilities and cooperation on joint missile defense centers. If it were a necessary step to help bring Russia back into compliance with the INF Treaty, NATO might agree to a transparency process by which the United States demonstrated that the Mk-41 Aegis Ashore system cannot launch cruise missiles and is compliant with the INF Treaty. Such a process might include provision of information about how the Aegis Ashore system differs from the ship-based launcher and tours of the facilities to demonstrate its compliance. An arrangement of this type would require the consent of Poland and Romania, the countries on whose territory the planned Aegis Ashore sites would be located. In light of the seemingly intractable INF Treaty impasse, the obvious question is how Russia would react to such a resolution idea. The answer depends, at least in part, on whether it sees the INF Treaty as remaining in its continuing security interest, as it says it does, and if it perceives that the U.S. response would diminish its security. If so, then it should be willing to resolve U.S. concerns. If not, Russia may hope the United States will withdraw from the treaty, as the United States did from the ABM Treaty, or take some step that is explicitly inconsistent with the treaty, thus giving Russia an opportunity to free itself of INF Treaty constraints without admitting to a violation. Some Russian officials have raised doubts about the continuing value of the treaty, noting that it limits only Russia and the United States. They have suggested that the treaty should be made multilateral to place similar limits on other countries with intermediate-range missiles. Because those countries are not interested in giving up their missiles, this idea seemed intended to undermine the treaty. For its part, the United States should pursue actions that will increase the likelihood of Russia returning to compliance with the treaty. In the first instance, that means that Washington should remain in strict compliance with its obligations to the INF Treaty. Additionally, the United States, including Congress, should not take actions that would effectively preclude the option of Russia coming back into compliance, including moving toward withdrawal from the treaty, as long as there is a possibility for resolution. Finally, the United States should continue pressing its case with Russia for resolution. If Russia does not engage in serious discussions with the United States to resolve its INF Treaty concerns, the results could look like a replay of scenes from the Cold War. McKeon acknowledged this at the December 2014 hearing: “We do not want to find ourselves engaged in an escalatory action/reaction cycle as a result of Russia’s decision to possess INF Treaty-prohibited weapons. However, Russia’s lack of meaningful engagement on this issue, if it persists, will ultimately require the United States to take actions to protect its interests and security along with those of its allies and partners. Those actions will make Russia less secure.” At the same hearing, Gottemoeller said she had told her Russian counterparts, “[W]e do not want to go down the road of putting in place the kind of countermeasures that would…raise the kinds of threats that existed in Europe back at the time that [the] INF [Treaty] was first agreed.” After decades of Cold War nuclear confrontation and danger, the Soviet Union and the United States finally learned how to reverse the process and improve mutual stability and security. The INF Treaty was a central accomplishment in that effort. It would be a historic failure if Russia and the United States forgot those lessons and could not preserve the security benefits of the INF Treaty. To avoid such an outcome, Russia should begin immediately to work constructively with the United States to resolve the U.S. concerns. Waiting will only make matters worse. 1. This article assumes that Russia has taken the actions cited by the U.S. government in violation of Russia’s obligations under the Intermediate-Range Nuclear Forces (INF) Treaty. The U.S. government process for assessing and reporting noncompliance with arms control treaties is a comprehensive and exhaustive one, and determinations of violations are made only after a thorough review of the evidence provides high confidence in the assessment. As required by Section 403 of the Arms Control and Disarmament Act, the process involves the coordinated input of all relevant executive branch agencies and components. For the requirements for the annual compliance review and report, see http://uscode.house.gov/view.xhtml?req=granuleid:USC-prelim-title22-section2593a&num=0&edition=prelim. 2. U.S. Department of State, “Adherence to and Compliance With Arms Control, Nonproliferation, and Disarmament Agreements and Commitments,” July 2014, p. 8, http://www.state.gov/documents/organization/230108.pdf. 3. U.S. Department of State, “Adherence to and Compliance With Arms Control, Nonproliferation, and Disarmament Agreements and Commitments,” June 5, 2015, http://www.state.gov/t/avc/rls/rpt/2015/243224.htm. 4. INF Treaty, art. VII. 5. 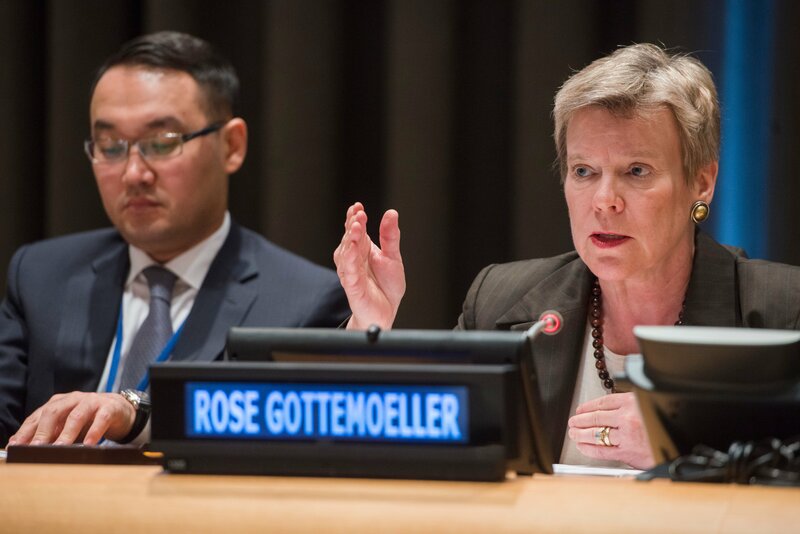 “Rose Gottemoeller: We Don’t Want to See Action-Reaction Cycle Like We Saw During the Cold War,” Interfax, June 23, 2015, http://www.interfax.com/interview.asp?id=600960. 6. Mike Eckel, “Impasse Over U.S.-Russia Nuclear Treaty Hardens As Washington Threatens ‘Countermeasures,’” Radio Free Europe/Radio Liberty, September 16, 2015, http://www.rferl.org/content/russia-nuclear-treaty-us-threatens-countermeasures/27250064.html. 7. Anita Friedt, “A Full Spectrum Approach to Achieving the Peace and Security of a World Without Nuclear Weapons” (remarks at the Friedrich-Ebert-Stiftung Tiergarten Conference, Berlin, September 10, 2015), http://www.state.gov/t/avc/rls/2015/246943.htm. 8. C-SPAN, “U.S.-Russia Arms Treaty,” December 1, 2015, http://www.c-span.org/video/?401252-1/hearing-russian-arms-control. 9. Russian Arms Control Cheating and the Administration’s Responses: Joint Hearing Before the House Foreign Affairs Subcommittee on Terrorism, Nonproliferation, and Trade and the House Armed Services Subcommittee on Strategic Forces, 113th Cong. (2014). 10. 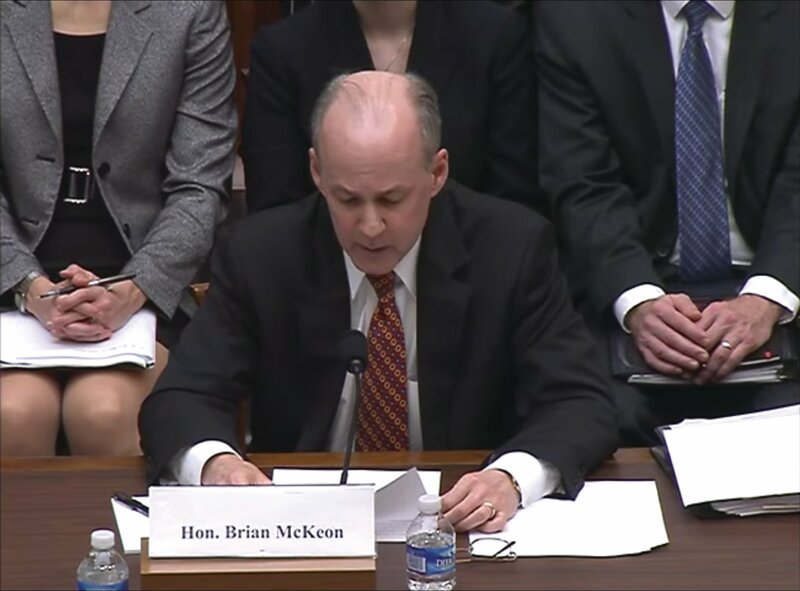 Brian P. McKeon, Statement Before the Joint Hearing of the House Armed Services Subcommittee on Strategic Forces and the House Foreign Affairs Subcommittee on Terrorism, Nonproliferation, and Trade, December 1, 2015, p. 2, http://docs.house.gov/meetings/FA/FA18/20151201/104226/HHRG-114-FA18-Wstate-McKeonB-20151201.pdf. 11. Carl Levin and Howard “Buck” McKeon National Defense Authorization Act for Fiscal Year 2015, Pub. L. No. 113-291, 128 Stat. 3292 (2014), sec. 1244, 1651, https://www.gpo.gov/fdsys/pkg/PLAW-113publ291/pdf/PLAW-113publ291.pdf. 12. At the December 2015 hearing, Gottemoeller said that if the United States had “some inkling” that Russia were willing to acknowledge and try to resolve U.S. concerns, the United States would convene a meeting to do so. She and McKeon repeatedly said there is no such interest from Moscow. Richard W. Fieldhouse is president of Insight Strategies, LLC, an independent consulting company. From 1996 to 2015, he served as a professional staff member of the U.S. Senate Armed Services Committee. He was on the personal staff of Senator Carl Levin (D-Mich.) from 1991 until 1996.